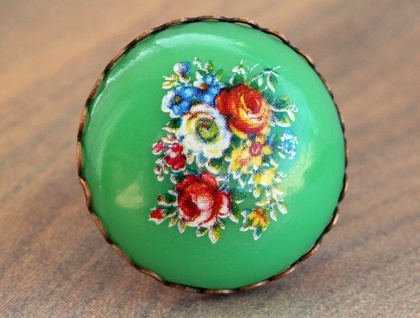 I am just loving vintage florals at the moment! 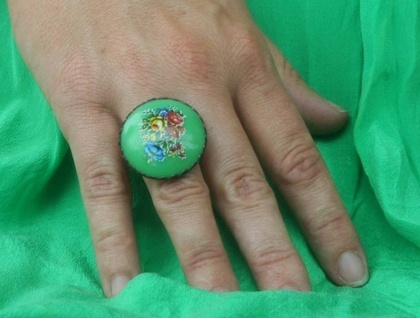 This large floral ring is will add some envy to your day! 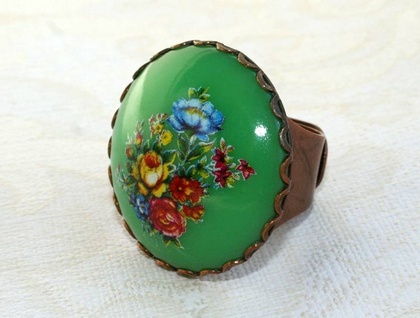 It is a vintage acrylic cabochon in bright kelly / apple green with a floral print. It measures 28mm in diameter and has been set into a brass scalloped edge setting that I have soldered onto a handmade brass ring band. 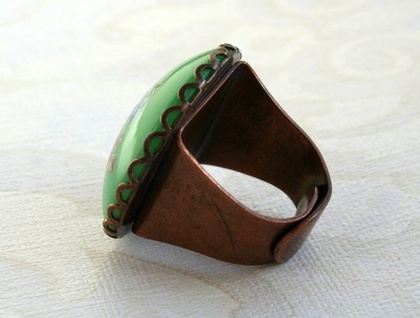 The ring band is 5mm wide and open at the back, so adjustable to fit most fingers. If you know your ring size I can make certain it will be big or small enough, and can even close it up at the back if you prefer. Comes in yellow, blue and white too, check out my other listings! 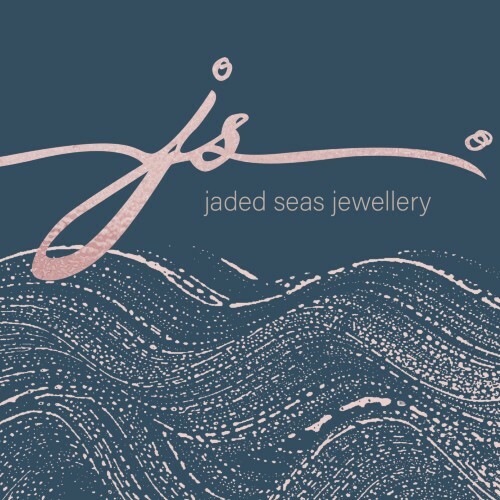 thanks for visiting Jaded Seas Designs.